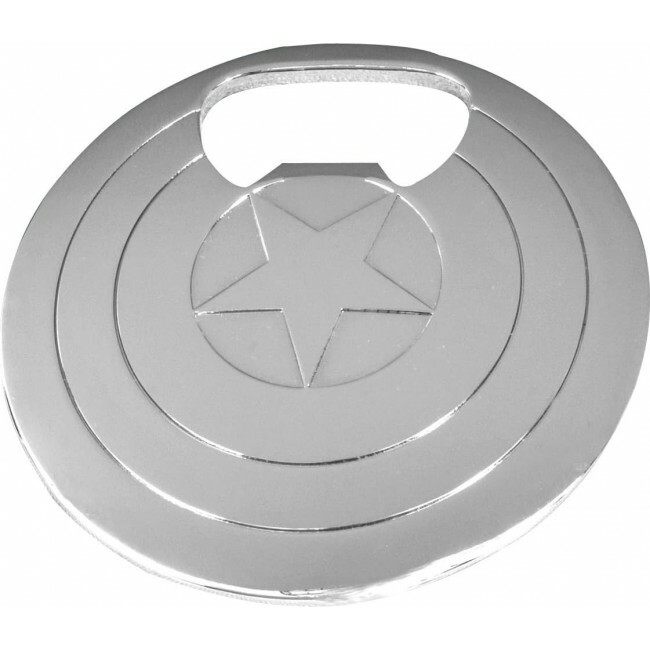 Captain America's shield is indestructible - So it won't have any trouble opening up a delicious beverage for you! This solid-metal bottle opener is an exacting replica of the Star-Spangled Avenger's weapon of choice. And at 3 inches in a diameter, you can store it in your pocket when you're not using it!